Yuuta's grandmother died and on the last day of his grandmother's funeral, amidst the gossip of the relative about who will adopt him, someone spoke it out loud "I will raise this kid." Who's she? She is Meguri Ichiko, the main character of this series. 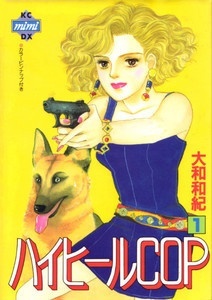 With posh brand named clothes and her attitude, no one would believe at first that she's a detective, an assistant inspector for the Narcotic Department for the Metropolitan Police Department. Aside from her work, Ichiko does take another thing seriously at heart, that's a man with 5E. 5E? What is 5E....?